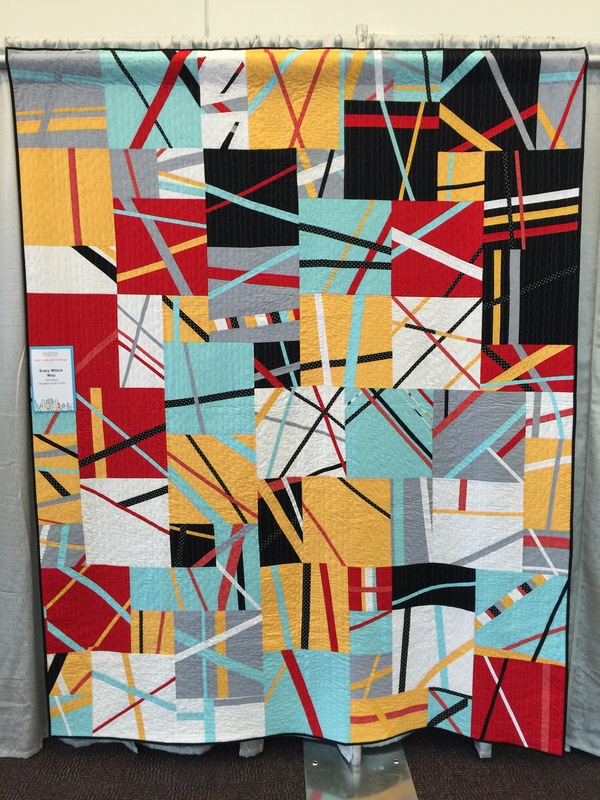 Beyond the amazing quilts and quilting that I have shared so far, there was also an exhibit of quilts made by Modern Quilt Guilds as a charity challenge. 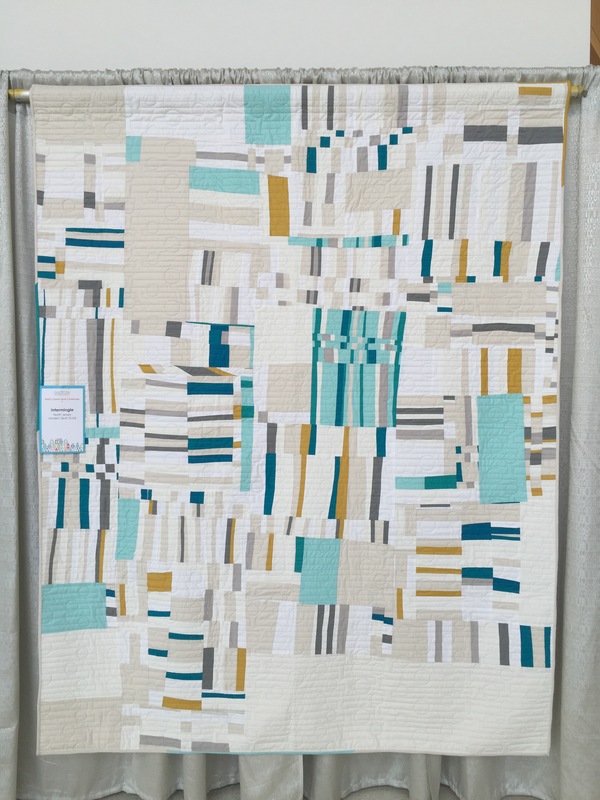 You can learn more about the Challenge here: http://quiltconwest.com/get-involved/member-charity-challenge/ but essentially guilds were challenged to use a color palette combining sunflower yellow, tomato red and teal with off-white, grey and white. Some of these quilts were real standouts and could have been in the main show IMHO. This is the quilt submitted by my guild, the Northern NJ MQG. They did a beautiful job and for this composition I think it was smart to eliminate the black and red. I wish I had contributed but I am a terrible guild member as my day job rarely allows me the time to attend a guild meeting. This is the submission from the Pittsburgh MQG. 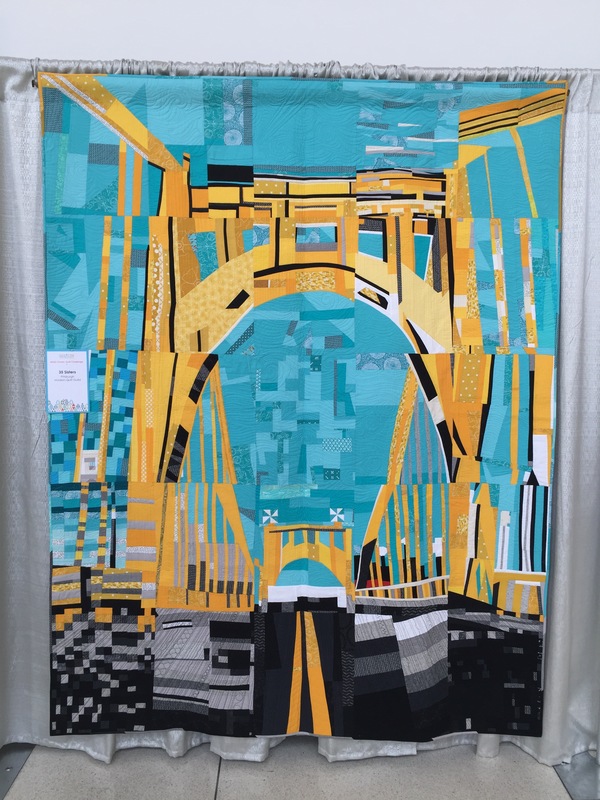 I love how this quilt captures the feeling of entering Pittsburgh. 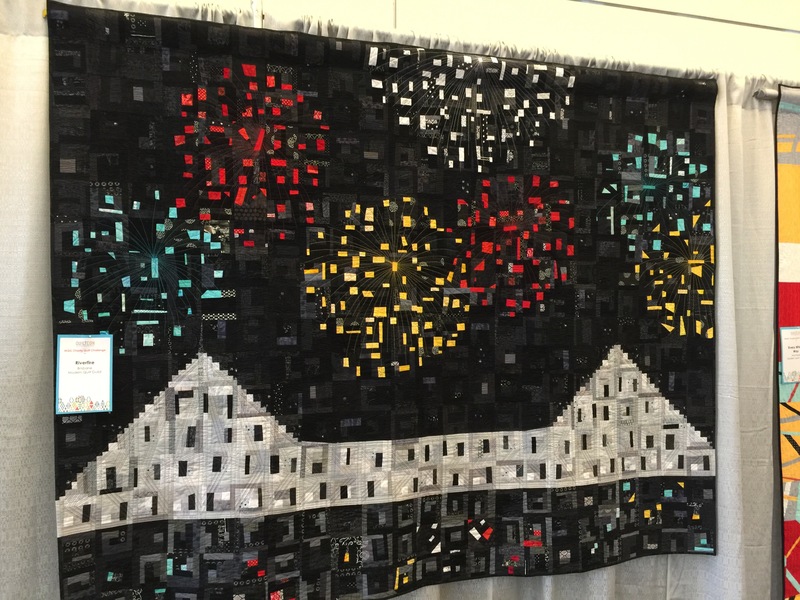 The Brisbane MQG made his quilt called “Riverfire.” The idea of fireworks is a lot of fun and a great use of the palette. This was the last standout for me. Unfortunately I don’t m is which guild made it but I love the piecing elements and the fact that they equally weighted the color palette. All of the guild submissions were well done, but these were a few of my favorites.